Joy Sutter, MC USA moderator-elect, hails from Salford Mennonite Church. (Mennonite Church USA) — People across Mennonite Church USA are invited to take a closer look at the denomination’s structure and healthy ways of functioning with a newly released video series featuring presentations by Michael Danner, associate executive director for Church Vitality and Engagement, David Boshart, MC USA moderator, and Joy Sutter (from Salford congregation), MC USA moderator-elect. Each speaker focuses on different topics for how leaders can understand MC USA polity and engage with one another in healthy and meaningful ways. MC USA polity, or organizational way of functioning, developed through the 2002 merger of the Mennonite Church and the General Conference Mennonite Church, and this video tool aims to clarify elements of its polity as MC USA faces shifts in membership and questions of how to respond to disagreement. In the video series, Danner poses several questions for leaders within MC USA, including how to focus on finding a “sweet spot” of involvement. “Given my roles within the structure, what am I responsible for and what am I not responsible for?” he asks. Sutter’s presentation addresses the function of the Executive Board, the 14-member volunteer board that guides the denomination and is accountable to congregational and area conference delegates, and the function of the Constituency Leaders Council, a group consisting of Executive Board representatives, area conference leaders, constituency group representatives and agency and Executive Board staff that meets semiannually to listen, discern and advise the denomination on issues facing the church. 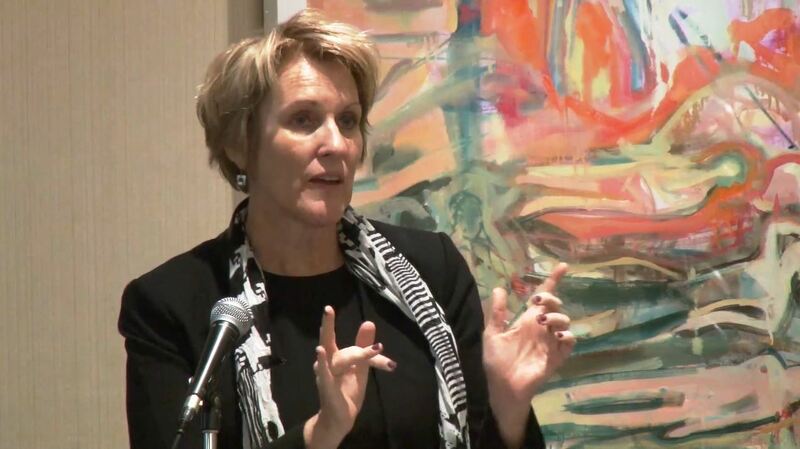 Sutter reviews how each is responsible for contributing to positive functioning for MC USA. The video series is available in three sessions on MC USA’s YouTube channel, and leaders are invited to watch and share them widely. Read the full article at The Mennonite HERE. 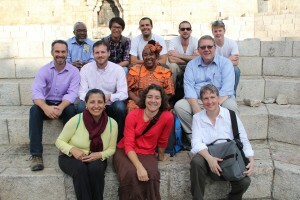 The Ministry Inquiry Program is a partnership between Mennonite colleges, Mennonite Church USA and local congregations. Upon completion, students receive scholarship money. This summer one Franconia Conference congregation hosted a student, and another Franconia congregation sent a student. 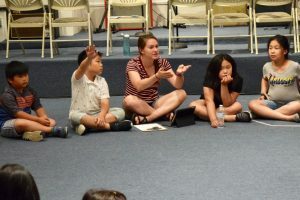 From Nueva Vida Norristown New Life, Lydia Haggard spent the summer working at the Coalition for Christian Outreach program in Ocean City, New Jersey. 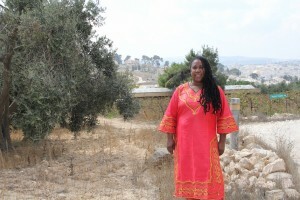 Philadelphia Praise Center hosted Abigail Shelley from Meridian, Mississippi. 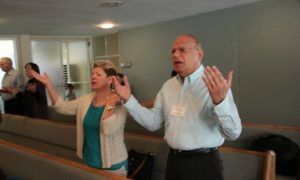 Read all about their experience, along with that of two other Ministry Inquiry Program participants, by clicking here. Abigail Shelley leads an activity at Summer Peace Camp (Philadelphia Praise Center). 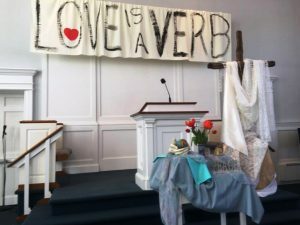 The theme for this year’s convention was Love is a Verb. Worship speakers focused on this theme, and workshops spoke of how we can live out the love of God, covering topics of church safety, patriarchy, racism, Israel Palestine, “Keeping the Church Weird” and hearing God’s call, among others. Sometimes love as a verb means recognizing and acknowledging when we have not loved. Ted & Company, in their new show Discovery: A Comic Lament, shared the Doctrine of Discovery and how even we as Mennonites have played a role in justifying the taking of land from the indigenous people here in the United States. It was a sobering reminder as we began the week. Maria Hosler Byler and Joe Hackman, Salford congregation, celebrate their nomination. Wednesday brought the Dove’s Nest awards celebration, recognizing churches “that did something courageous to keep children safe.” Salford Mennonite Church was one of the three nominee finalists. They were nominated for their service that happened at the end of March, which focused on the journey of abuse and healing as reflected by the Ezekiel 37 passage about the valley of dry bones. This service included voices of lament, hope and direct statements from survivors of childhood sexual abuse. More resources and information on how this service was put together can be found at http://franconiaconference.org/church-safety/. Wednesday also brought a time of connecting for those from across Franconia Conference, as we gathered together for food, fellowship, and music by The Walking Roots. Thursday contained two big events: voting on the Seeking Peace in Israel Palestine Resolution and the kick off of the Future Church Summit. Two years ago at the Kansas City Convention, a resolution regarding Israel Palestine was tabled. Since then a three-person writing team and a ten-person reference team worked to draft a new resolution, the Seeking Peace in Israel Palestine Resolution. 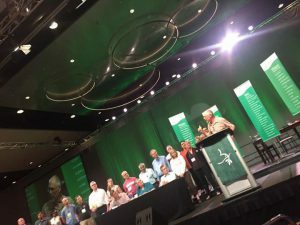 Prior to the vote on the resolution, delegates heard from the writing team, discussed in their table groups, and then heard comments, concerns and questions. There were overwhelming comments of support for the resolution which ultimately passed with 97% in favor. The Future Church Summit was a new addition this year to Convention. It was a time of dreaming and visioning, and discerning how God is leading us to follow Jesus. Delegates were joined by others from throughout MCUSA including high school students who had been chosen to be part of the Summit. The first day was spent getting to know one another by answering questions such as “When did you feel most connected to the Mennonite Church? 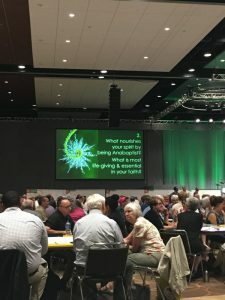 What nourishes your spirit by being Anabaptist?” There was also a time of grounding participants in the history of Anabaptism and Mennonites, drawing learnings from our past. Convention continues Friday and Saturday morning. You can find out more about each of the days’ highlights on the Franconia Conference Facebook page . When taking elementary Greek as a seminary student, suddenly it dawned on me that my knowledge of the English language was woefully inadequate. I might not have been able to tell you that a verb “is a word used to describe an action, state, or occurrence, and forming the main part of the predicate of a sentence, such as hear, become, happen,” as Google says. But I’d have been able to say that is an action word! As followers of Christ we believe that God is love and that we are called to participate in God’s love. Not by the cheap “I’ll love you if you love me” ways of our culture, but in the gritty work of loving God, ourselves and our neighbors. 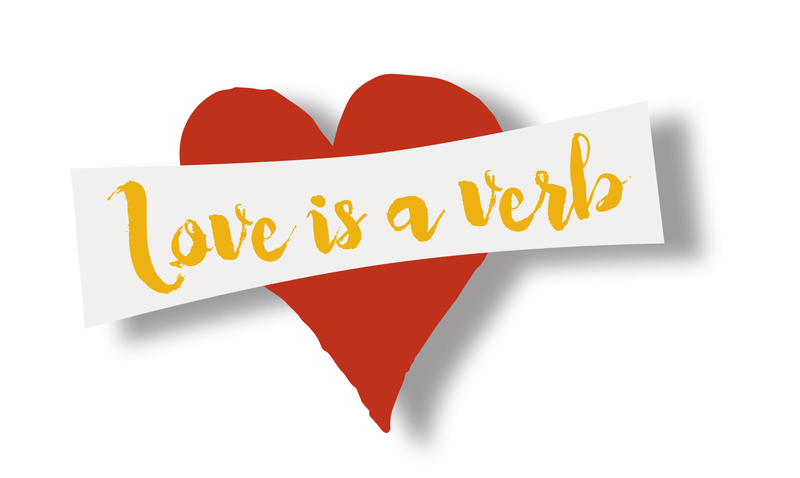 This theme of Love is a Verb will be the theme at our denominational assembly in Orlando in early July. As we lead up to that, Perkasie Mennonite (PMC), and perhaps other Franconia Conference congregations have recently engaged this theme. Here at PMC we developed a six week worship series focusing on: love is… a verb, … obeying Christ, … mutual, …. fear-less, ….of God, and …. life-giving. 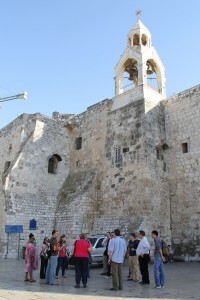 The series has been a study of the book of First John. For the writer, the love of God is expressed in the revealed “word of life” (Jesus Christ) so that we might have fellowship (koinonia) with God and with each other. That love we’ve received is then expressed in love for each other in the local fellowship. Yet, scholars believe this struggling church was fractured because of theological diversity and a refusal to love in word and deed. In a series employing sharp contrasts comes the command to do the hard work of love. Our love has been put to the test in very specific ways as we have walked with congregation members in life and death. I witnessed people expressing their love by sharing meals, sending cards, sitting in silence, in unceasing prayer and in many other acts of love. I know this happens on a daily basis, not only at PMC but in all the churches spread out over our conference. We have members demonstrate active love – love as a verb – by urging us to speak into the political process with a voice of concern for peace and justice. We had hard discussions in our Sunday morning second hour around the issue of racism, and talked about what steps we might take to become allies. As an Interim LEADership Minister with Franconia Conference, I’ve been relating to Alpha, Bally and Taftsville congregations. It’s been a joy to hear stories of love in action. Bally created a large banner with the words from the Welcoming Your Neighbors posters: “No matter where you are from, we are glad you are our neighbor” written in Arabic, Spanish and English. During a committee meeting, a stranger entered and expressed his appreciation for the sign. He is a recent immigrant from the Middle East and had been feeling very vulnerable. Love in action is expressed at Taftsville in their recent addition of solar panels on the roof of their meeting place. They are now generating electricity that goes back onto the grid, as they continue to implement steps to care for God’s creation. I could go on with other illustrations just in these three congregations. Let’s continue to challenge ourselves and our congregations to make Christ’s love known in our local communities. 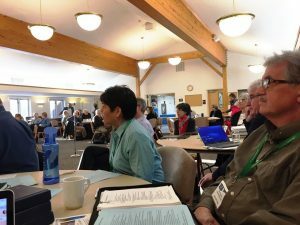 May we also celebrate and testify to the ways it is already happening in small ways in the wonderful diversity that is Franconia Mennonite Conference. In our commitments for credentialing as pastors within Franconia Conference, we agree to giving and receiving counsel. This week I am here in Indiana as part of our process of giving and receiving counsel through Mennonite Church USA’s Constituency Leader Council (CLC). It’s not been an easy time in Mennonite Church USA (MCUSA). Three conferences have seceded from MCUSA and several have lost significant membership numbers. Three conferences have moved toward credentialing gay and lesbian persons which puts them at variance with our official confessional/polity positions. We are not alone in our turmoil as similar processes have been playing out among United Methodists, Presbyterian Church USA and the Episcopalians. Nonetheless we are here to keep trying to work it out. At times, it feels like we are at our wits end with each other. Franconia Conference was a founding body in MCUSA. We remain engaged thus far because we believe that we can do more together than we can on our own. I recognize, though, that some of us question our relationship with MCUSA because of the tensions felt around our theology and practice thereof. I understand both the acts of conscience and the levels of frustration that have meant Conferences have seceded and that others have landed at variance. I believe in the kind of love that Paul wrote about that is patient, kind and enduring. As a Conference, we have an enduring history. Unfortunately, it hasn’t always been marked with enduring love that has been witness of the reconciling power of Christ’s peace. Our current exploration of a possible reconciliation process with Eastern District Conference evidences our lack of patience with one another, that now is being addressed over a century later. Randy Heacock’s story from the last Intersectings reminds us of the sad reality that reconciliation work on an interpersonal level is still a rarity. So, I’m committed this week to sit at these tables on our behalf, and to find ways to engage constructively and generatively, along with John Goshow, our Conference moderator, and Mary Nitzsche, chair of our Ministerial Committee. In these few days, for the sake of all of us, I commit to believing and hoping, of seeking the Spirit’s stirring. Of continuing to live into my ordination vows of giving and receiving counsel. Whether around tables in Elkhart or at the kitchen table or the communion table, this is our invitation. It’s an invitation that endures; a recognition that love never fails, a way of living God’s great shalom, even through day long meetings. Alan and Debra Hirsch, currently of Los Angeles, will offer several presentations on church planting and building missional movements. Although it’s still more than five months away, Mennonite Church USA’s 2015 biennial convention is taking shape. Registration opened Jan. 15 for the June 30–July 5 event in Kansas City, Mo. Hotel registration opens March 3. Convention planners are lining up special presenters and exhibitors in addition to a full slate of worship speakers. Recent decisions made in consultation with the Mennonite Church USA Executive Board have included accepting the Brethren Mennonite Council for Lesbian, Gay, Bisexual and Transgender Interests’ (BMC) application for exhibit space at KC2015, as well as allowing convention planners to work with leaders of the Pink Menno campaign to negotiate rental of a meeting room on site at the convention center. Alex Awad of Jerusalem, pastor of East Jerusalem Baptist Church and a professor at Bethlehem Bible College in Palestine, will be a featured speaker throughout the convention week. Awad and Bethlehem Bible College are longtime Mennonite partners in Palestine. After KC2015, Awad will travel to Harrisburg, Pa., to participate in Mennonite World Conference’s Assembly Gathered. Awad’s presence at convention is also made possible by support from Mennonite Central Committee U.S.
Drew Hart will be available throughout the convention week, offering several seminars focused on liberation theology and strategies for addressing racism in local congregational settings. Hart is a Ph.D. candidate at Lutheran Theological Seminary in Philadelphia, and his research focuses on intersections between black theology and Anabaptism. He is a part-time pastor and a regular blogger for The Christian Century. 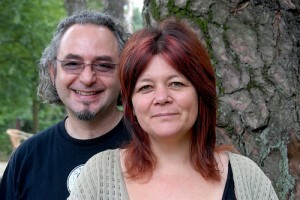 Alan and Debra Hirsch, currently of Los Angeles, (photo above) will offer several presentations on church planting and building missional movements. The Hirsches are the founding directors of the Forge Mission Training Network. Alan also co-leads Future Travelers, a learning program to help churches become missional movements, and is co-founder and adjunct faculty for the M.A. in Missional Church Movements at Wheaton (Ill.) College. He has written The Forgotten Ways: Reactivating the Missional Church, among other books. 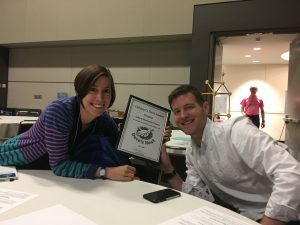 The Brethren Mennonite Council has applied for exhibit space at previous conventions; this is the first year that their request has been approved. Pink Menno applied to be an exhibitor at convention for the first time this year; the group’s request for exhibit space was denied, although convention planning staff members hope to work with the group to negotiate the rental of a meeting room inside the convention center. All convention attendees are expected to abide by the expectations for convention attendees and exhibitor guidelines. “Conversations about sexuality are happening all across the church right now,” says Ervin Stutzman, executive director for Mennonite Church USA. “Our leadership team felt it was the right time for the Executive Board to revisit our policies about the use of convention space. We desire to be proactive, rather than reactive, in the conversations that need to take place among us as followers of Jesus Christ. Other approved exhibitors include all of the Mennonite Church USA agencies and higher education institutions, as well as Mennonite Central Committee, Mennonite Disaster Service, Mennonite Economic Development Associates, and a variety of other faith-based organizations. The convention offers programming for people ages 0 and older. Special programs are planned for infants, preschoolers, elementary-school students, junior high youth and high school youth. For more information about convention events and speakers, and to register on Jan. 15, visit convention.mennoniteusa.org.